Venezuela’s Supreme Court has annulled parliament’s resolution aimed at ousting President Nicolas Maduro. The Court ordered them to stop the “political trial” against the president, since it is not within its constitutional authority. In a statement issued Monday, the high court reaffirmed its position previously expressed in ruling number 948 of the Constitutional Chamber dated November 15, 2016, in which it ordered the country’s parliament to “refrain from continuing the procedure of declaring ‘political responsibility’ against the president of the Republic,” as cited by AFP. It also ordered the legislature to refrain from making decisions that are outside its legislative authority. The court’s statement came after a majority of the 106 deputies of the opposition-led National Assembly voted on Monday to adopt a resolution aimed at effectively ousting the Venezuelan president, declaring that he had “abandoned his post” due to his stewardship of the country’s stagnating economy – and calling for snap presidential elections. 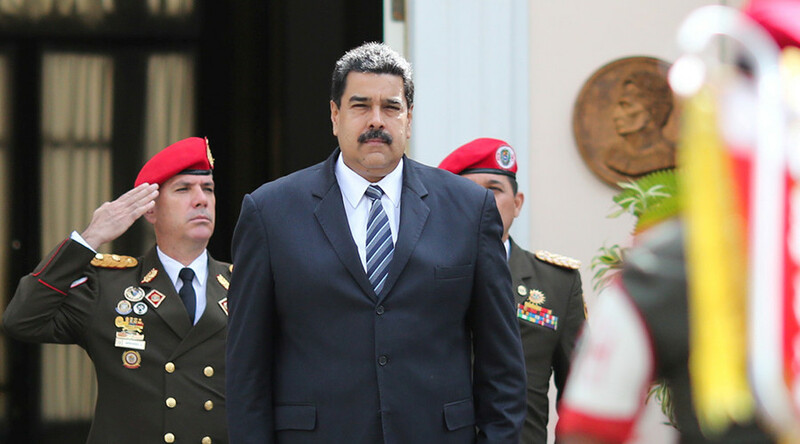 Although the Venezuelan Constitution does not give National Congress explicit powers to dislodge the president, the legislators say they acted in line with the article 233 of the Venezuelan Constitution which stipulates that President “shall become permanently unavailable to serve” in case of “abandonment of his position, duly declared by the National Assembly.” Among other reasons are resignation, death, removal by Supreme Court and recall in a public referendum. "The most important thing is that [this measure] demands an electoral solution to Venezuela's crisis, so that the people can express themselves through the vote," said Congress President Julio Borges, who was pushing for the resolution to be approved since he assumed office on January 5, as cited by Reuters. The opposition argues that Socialist President Maduro, who succeeded his close ally, the late President Hugo Chavez, in 2013, neglected his duties as the country plunged into a severe economic crisis with constant shortages of basic goods reminiscent of the last years of the Soviet Union. Maduro, meanwhile, has blamed the rampant inflation of the bolivar currency on a coordinated attack led by Washington. Ahead of the vote, the country’s Supreme Court issued a warning to opposition deputies, urging them to “refrain from continuing the procedure of declaration of political responsibility” against Maduro as it lies “outside [their] constitutional powers,” citing the court’s ruling from last November. After the parliamentary vote ended in a sweeping victory for the opposition, the deputies began chanting, “Elections now,” reinforcing their calls for immediate presidential elections, ABC reports. In late October, the opposition-driven National Assembly moved to launch impeachment proceedings, accusing Maduro of “constitutional violations” and ordered him to face MPs in a week’s time. 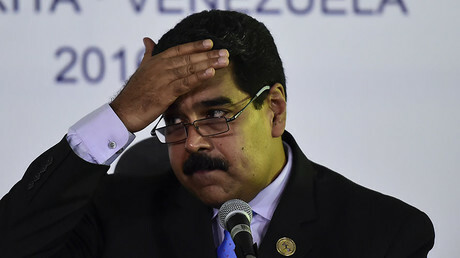 The constitutional crisis was spurred by the decision of the electoral commission to axe a proposed referendum to recall Maduro, citing forged signatories. In their turn, the lawmakers then accused Maduro of staging a coup d’état by blocking the popular vote.